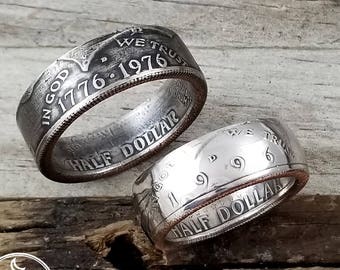 Your source for handmade Coin Rings and Spoon Rings! 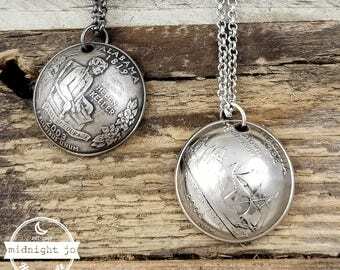 Announcement Welcome to Midnight Jo your source for handmade spoon and coin jewelry! 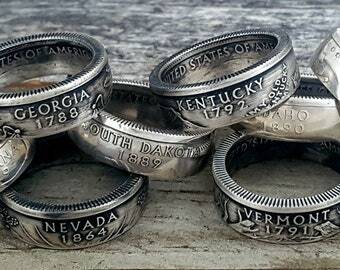 Offering you a variety of coin rings - State coin rings, Washington quarter rings & National Park coin rings and coin jewelry. 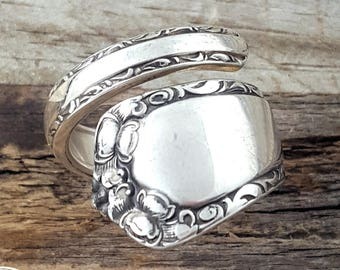 We also specialize in handmade spoon rings, spoon earrings and spoon necklaces. If you see something you like but have a question we are always happy to help you out just send us a convo! 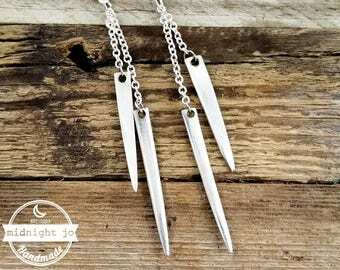 Welcome to Midnight Jo your source for handmade spoon and coin jewelry! 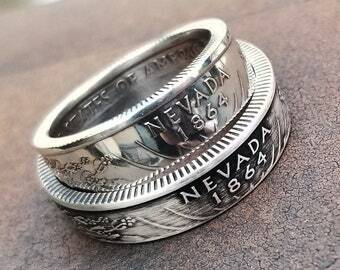 Offering you a variety of coin rings - State coin rings, Washington quarter rings & National Park coin rings and coin jewelry. 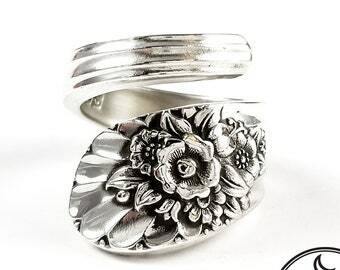 We also specialize in handmade spoon rings, spoon earrings and spoon necklaces. If you see something you like but have a question we are always happy to help you out just send us a convo! Looks and fit amazingly. Thank you very much. 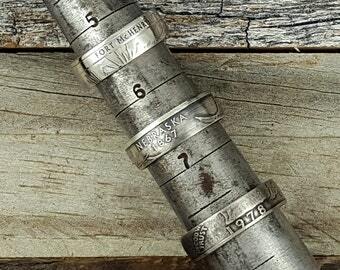 Absolutely LOVE these rings! 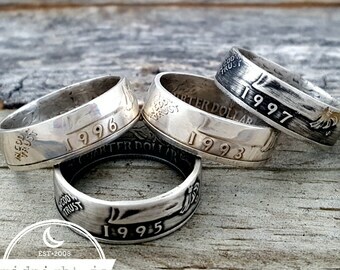 I ordered them for our 25th anniversary and can’t wait to give my husband’s his. Yesterday kicked off #NationalParkWeek! National Park Service has a different theme for each day. Are you planning on visiting any of the National Parks this week? 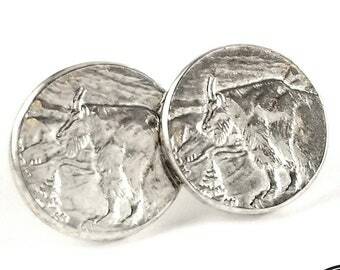 Glacier National Park Quarter Stud Earrings >>> made from coins! #TBT Have you ever checked out out the Container Park in downtown Las Vegas? It is a shopping center built from shipping containers, seriously cool! 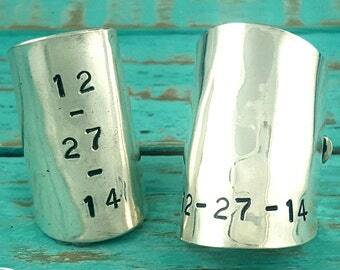 This Love Locket heart installation is out front covered in locks that have messages on them! 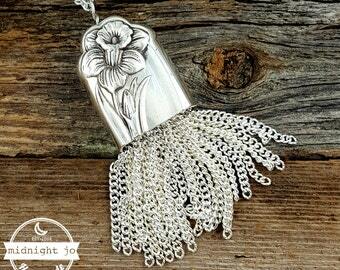 Midnight Jo started in 2008 as a hobby, at the time we sold handbags and apparel. 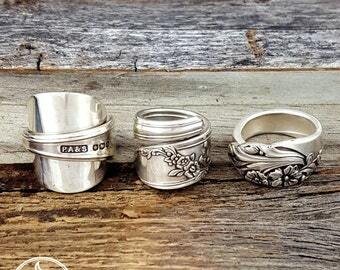 Over the years it has transformed into a custom jewelry company. 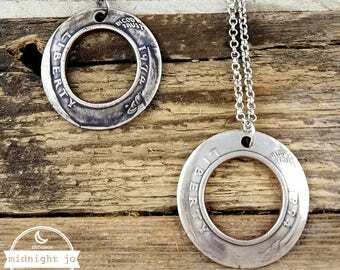 At Midnight Jo we love repurposing everyday items into jewelry. If we can dream it up we will create it. 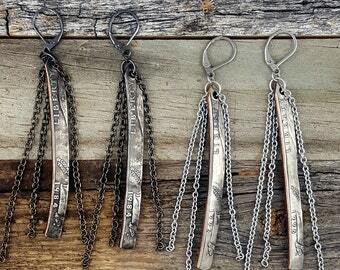 Spoons, keys, coins, cans, hex nuts, we love to re imagine items! 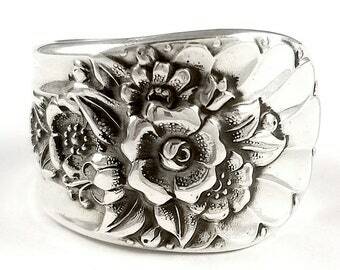 We LOVE making new things and new designs and we will always bring you our latest and greatest designs. 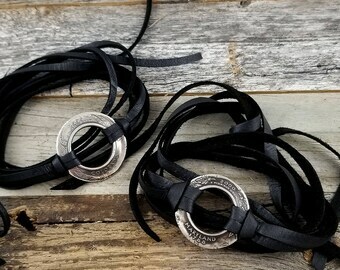 We hope you enjoy our shop as much as we enjoy creating jewelry. Happy shopping! 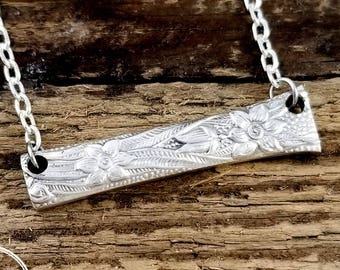 I will only use your email address to contact you if I do not get a response back from you via Etsy Conversation and need to contact you in order to fulfil your order. I do not store any of your personal information outside of the Etsy system. UK buyers purchasing large and/or heavy items: Courier companies request a recipient's email address in order to keep them updated about delivery dates/times to minimise missed deliveries, therefore I will pass on your email address to the relevant delivery company. If you are not happy for this to happen, please contact me before you make a purchase. Please note that I do not have any access whatsoever to your credit card or other financial information. 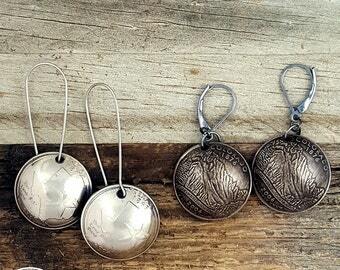 Although you are buying an item from my shop, your financial transaction is with Etsy directly and they are the only ones who have access to that information. 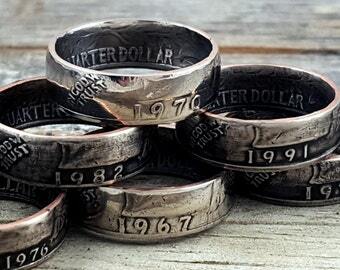 Can you put a certain year on a State or National Park coin ring? 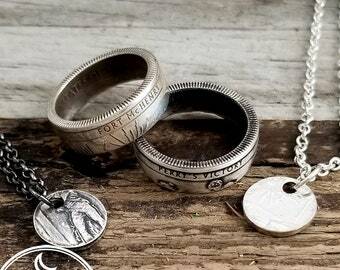 Is it legal to make jewelry out of coins? The United States code states it is only illegal if done fraudulently. The key word being fraudulent, you are only violating the law if you change the appearance of the coin and fraudulently represent it to be other than the altered coin that it is. You know those souvenir penny smashers? 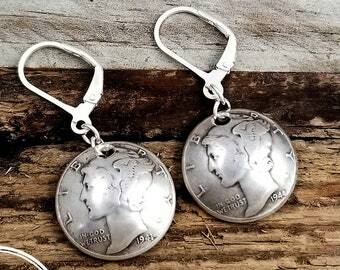 Those are legal and so is making jewelry from coins. 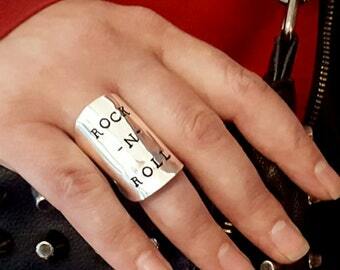 Will this ring turn my finger green? Turn around time for most items is between 3-5 business days. We typically ship twice a week. Our typical shipping days are Tuesday & Friday. Therefore we typically make items on Monday & Thursday. 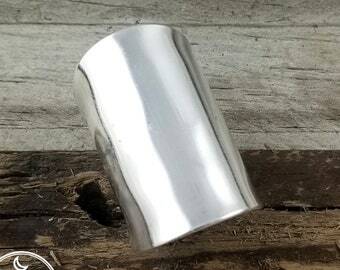 This may change on holiday weeks or on some of our silver items. 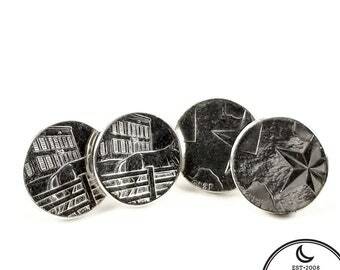 In cases where we would need to order a coin(s) we will contact you.